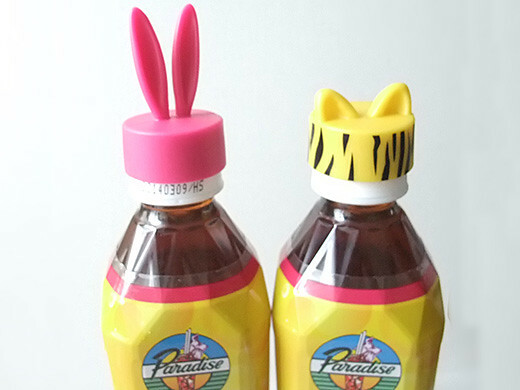 Funny and cute animal-ear-shaped pet bottle cap’s cap freebie attached to Paradise Tropical Tea. 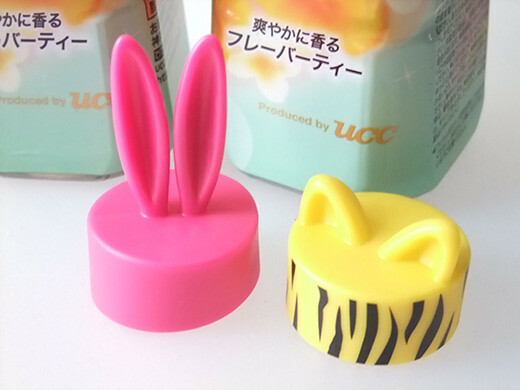 Finally I found a rabbit cap (most popular one for this campaign)! 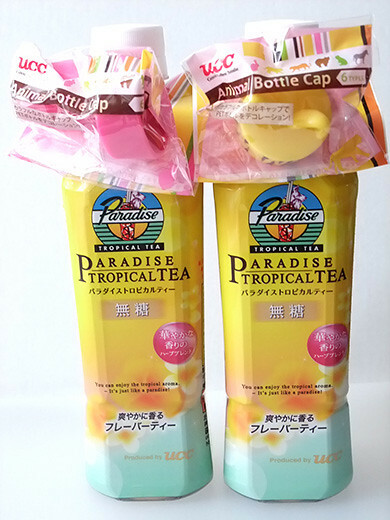 These caps are made of soft plastic and can make your pet bottle cuter again and again.